Hey, Sweet Pea, is that you? Why, I hardly recognized you, you look so fresh and fabulous, even downright stylish. Let’s face it, peas have come a long way since we were kids. Their humble beginnings, from the box and can, got them off to a poor start in the fashionable vegetable world. But now, as their fresh and natural selves, they are positively on trend this season. Starting this May, and going all through the summer, the idea of peas on your plate will be absolutely modern. If you’re smart you’ll get them while they are freshest and buying them locally is best. In the Northwest, snap and snow pea season extends from May through August, and get ready for shell peas from July through October. Although considered a starchy vegetable, when they are just picked they are actually quite sweet. Slowly, after harvest, peas begin to convert their sweet sugars into more complex carbohydrate starches, and the flavor and texture change with it. So when you buy them, eat them quickly for best results. 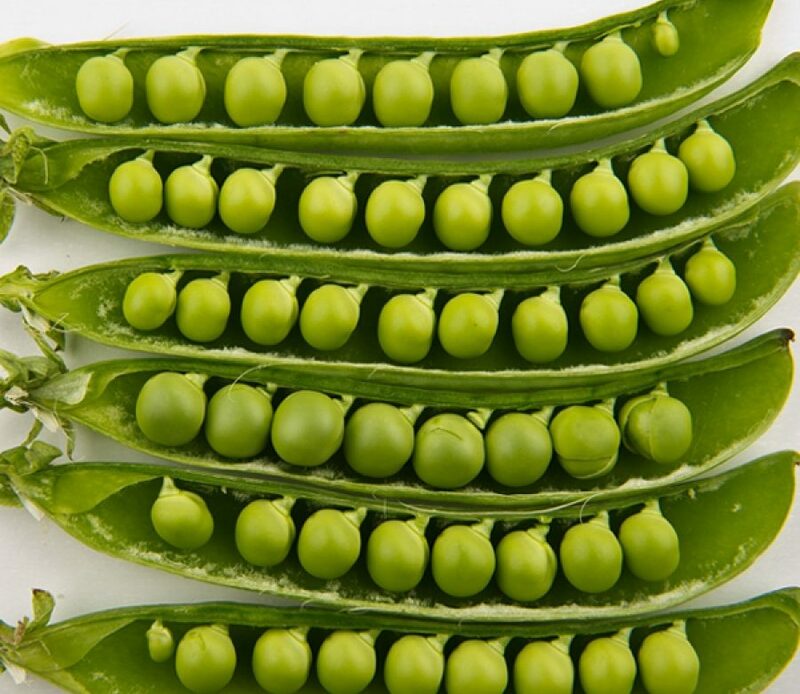 Peas are also good for the agricultural environment. They use less water and are one of the few crops that actually put nutrients back into the ground. They do this by way of nitrogen fixation, grabbing nitrogen from the air and bringing it into the soil, which has a fertilizing effect. So when you eat peas you can rest assured that they are not only doing some good for you, they are also doing good for Mother Earth.